In these present times it has become very important to be socially aware of everything. And this phenomenon is limited not only to youngsters but people of all ages. Social media gives us the opportunity to cross boundaries and be accessible to the globe. People around the world want to be updated about each and everything. One slight delay and Lo! Knowingly or unknowingly we are trapped in this vicious cycle of digital world. The need to be aware with everything somewhere has made us irritated because we seem to know way too much than what we should. We are constantly fidgeting with our cell phones while walking, while talking, sometimes even when we are in bathroom! But do we really need so much of digital penetration? Social media makes us social, but does it? Lets agree, we like to be social. We all like social recognition. It boosts our confidence when we are socially accepted. We interact with people and it gives us a sense of belonging. But sometimes we blur the lines of belonging. Haven’t you ever come across one of your friends’ picture hanging out in some cool place and putting up a check-in. In a fit of social obligation you ‘Like’ it and then the anxiety starts building up. Where did she/he go to? Why did he go there without me? How could they do that? We were supposed to be going there…and so on and forth! We are structured in such a way that we get jealous in a couple of incidents. Recently, I have been noticing there’s this very ‘hyped’ hotel where people are putting up their check-ins. They go there to ‘prove’ their friends and social followers that they have ‘been there, done that’. The need to be aware about everything has created a big hole in our normal functioning. 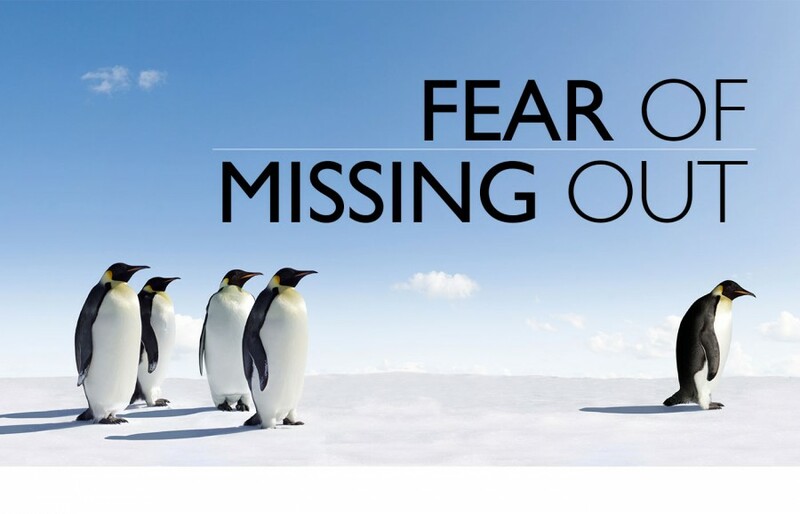 The base feeling of FOMO- that you may be actually be missing out the fun- is bewildering! This word is so casually used that people are not realizing that this actually messes up with our logical reasoning. We are always anxious and in dilemma that we should be doing this instead of that. While with parents, we text our friends. While with friends we talk to our relatives. While studying we indulge in Facebook or Instagram. This is it. 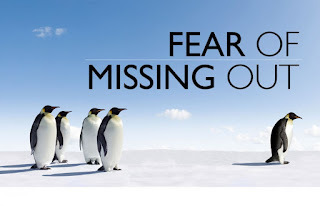 The fear, the feeling that we are missing out on something big! I recall one incident that one of my friend was telling me about. She had gone to meet her friend after months of planning. They met up in a cafe. First they had few small talks of here and there. Soon her friend got busy in showing something interesting she found online. Surprisingly more than an hour had passed with them engrossed into the virtual world. Then it was time to bit goodbye with a mandatory selfie. They uploaded their photo to their various social profiles with several hashtags. But on reaching home they both realized that they did not talk about for what they had scheduled the meet up! What do we understand by this? Do we meet to just be socially updated? I’m sure we all have come across or been into such situations, and I don’t know whether it is right or wrong. The more we are moving towards digitization, the more virtual we are becoming when it comes to beauty, relationship or anything. I am no way against it. What I believe is excess of anything spoils everything. And we, the hashtag generation, use too much of everything that we are getting clouded in our reasoning. Please give your feedback and reactions!